With his fourth narrative feature Un Barrage Contre Le Pacifique (The Sea Wall) boasting its world premiere at the 33rd Toronto International Film Festival, Rithy Panh adapts the eponymously-entitled 1950 novel by Marguerite Duras—a classic work of French literature—to make a compelling, sumptuous, yet politically astute film about his native country. The legendary Isabelle Huppert stars as the widowed matriarch of a small land-owning family in 1930s French Indochina (now Cambodia), who eke out a living from rice fields located perilously close to the ocean. The mother realizes that the departure of her two grown children—Joseph 20 and Suzanne 16—is ineluctable. Deceived by the colonial administration, she has invested all of her savings in worthless, regularly flooded farmland. Driven to fight against both nature and the corrupt bureaucrats who conned her and threaten expropriation, and refusing to accept the triumphant injustice of the system, she devises an imaginative scheme to build a dam against the sea with the help of the villagers. As Panh has expressed in his director's statement, "beyond time and cultural differences" he feels a "particular and mysterious connection" with "Marguerite Duras's eye, a very typical oriental compassion, beyond the usual judgments and simplications, an almost 'inner' outlook about my country and people, an eye that doesn't judge, an eye that says, 'We are all alike.' "
In his review for Screen Daily (faithfully replicated by Andy Brouwer), Howard Feinstein finds Panh's adaptation "potent" and draws insightful comparisons with Régis Wargnier's 1992 Academy Award-winning Indochine. By contrast, he writes, Wargnier's film—which starred Catherine Deneuve as a glamorous landowner—"was overblown, brushed with a varnish that disguised the realities of imperialism in tropical climes." He commends Panh's fearlessness in revealing "the worms in a gorgeous world of lush palms and attractive rice paddies in what might otherwise be construed as paradise." Rithy Panh was born in Phnom Pehn, Cambodia. Imprisoned by the Khmer Rouge in 1975, he escaped in 1979, moving first to the Mairut refugee camp in Thailand, then to Paris, where he studied at L'Institut des Hautes Études Cinématographiques. His work includes the documentaries S21, la Machine de mort Khmère Rouge (03), Les Gens d'Angkor (03) and Le Papier ne peut pas envelopper la braise (07), the docudrama Les Artistes du Théâtre Brûlé (05), and the features Rice People (94), Un Soir après la guerre (97), Que la barque se brise, que la jonque s'entrouvre (01) and Un Barrage contre le Pacifique (08). My heartfelt thanks to uniFrance for arranging an interview with Rithy Panh and to Isabelle Dupuis for her interpretive assistance. 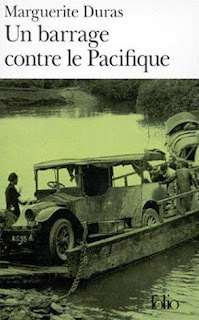 Michael Guillén: What drew you to Marguerite Duras' 1950 novel Un Barrage contre le Pacifique? Rithy Panh: First of all, it's a novel I like immensely and which I kept under my pillow for years. I was attracted to the ideas present in the novel: the colonial theme, the sense of utopia, and how they worked together. It was important for me to show that you cannot live just for yourself. I wanted to show that you have to share the wealth. Generosity is not just about giving but it's also about not taking what is not yours. Guillén: Since, you say, this was one of your favorite novels, I'm interested in how the novel first came to you, when you first realized it could be a film, and how you went about co-authoring the screenplay with Michel Fessler? 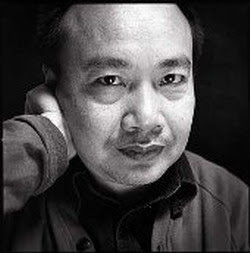 Panh: My first contact with Marguerite Duras was through her screenplay for Alain Resnais' Hiroshima Mon Amour. Having just emerged myself from genocide, Alain Resnais' work on Night and Fog and Hiroshima Mon Amour really moved me. Resnais was the filmmaker who made me realize that filmmaking is a tool of expression I could use to express my own story. I was interested in what Duras was writing. At the time, I didn't know French too well so I had to read her books by translating them from French into Cambodian with my dictionary. What came about naturally is that I then began to read other works by Marguerite Duras and to me Un Barrage contre le Pacifique is one of her greatest works. It's the matrix of her entire body of work. There are two or three elements in the book that interest me. First the two topics of the utopianism and the anti-colonialism. What interested me also was her way of working; how her point of departure is reality from which she always moves towards her fiction. In Un Barrage contre le Pacifique, everything is truth but everything is fiction as well. An authentic work has those qualities. As for Michel Fessler, the co-writer, I didn't know him before we began writing the screenplay. I hired him because he had lived in Africa when he was a child and I was intrigued that he had spent some time in the colonies. More correctly, they were no longer colonies but had been the French colonies. At the beginning I didn't want him to write anything. I wanted him to accompany me on a trip to Cambodia to visit the scouted locations. I wanted him to listen to the sounds of Cambodia, the voices of the Cambodians, to discover the story of the people of that country. It was only after he went through that initiatory phase that we began the writing. Michel's role with regard to the film is complicated. He was to be as disciplined as possible, which enabled me to not have to be so strict. Panh: [Laughter.] I could go off and he would have to say, "No, no, you're straying too far. Come back!" We worked so well together that we're going to do another film together. Guillén: Excellent! How closely do you feel your film adheres to the novel? Panh: [Sighs.] I think the main dramaturgy remains from the novel. 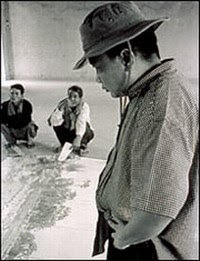 In the movie the questions that revolve around the land rights and the rebellion is emphasized more than in the book, which is normal because a Cambodian directed the film. The film was less about idyllic landscapes or love stories so I could emphasize the political side of Duras rather than her "schmaltzy" side. Guillén: Which I appreciated. At first I thought, "Oh, this is going to be a colonial romance narrative" and—in a way—it was; but, the romance was not between individuals but rather between a philosophy of resistance and a focus on human dignity. The ideas—infused with sensuality—were rendered accessible. Panh: Yes, the problem with these geographic locations is that everything appears beautiful, paradisial, but—when you scratch below the surface—there are many hidden complexities. In fact in all of my movies, not only this one, I emphasize human dignity. In all my previous films what's at stake is people's dignities, even in the way they are filmed. Guillén: Which is why I've remained a great fan of your work over the years. Another theme you frequently pronounce is one of solidarity, which is skillfully enunciated in this film through the alliance between the white French colonist family and the Cambodian villagers against the corrupt colonial forces oppressing them both. Panh: I'm not so interested in films that are about someone as I am in making a film that allows me to be with someone. Duras is one of the first novelists to have a clear anti-colonialist position. It's no coincidence that on a political level she is very close to the Communist party. But I have to be clear that I've experienced Communist regimes and they weren't that great. Oftentimes people confuse Communism with utopianism. I feel people should attach more importance to utopianism, which has existed long before Communism. Guillén: I would say that Chris Marker has best expressed the idea that utopia is a dream well worth seeking whereas Communism is an ideology that has all too often failed. Panh: Exactly! It's so important to hold onto that dream of solidarity, of sharing, of access to knowledge. We don't realize it but in this era of amazing technologies many people nowadays don't have the rights to access images, not even the rights to create images themselves from their own histories. Guillén: I hear what you're saying. I remember when I was training as a Mesoamericanist, how shocked I was to discover that it was illegal for Mayan Indians in the Yucatan to seek education. Panh: What's at stake for the future? For filmmakers like me it's not only about making the movie, it's that each film you make is like a form of resistance. It's saying, "I am presenting to you my point of view of history." How many African films have you seen in Toronto this year? Guillén: None. Interestingly enough, the woman sitting next to me during your film complained that she originally attended the Toronto International Film Festival because it afforded her the chance to see African cinemas, which she argued are becoming less available year after year. As a consequence, she's losing interest in the festival. Panh: But it's not only the Toronto International Film Festival. It's the whole system of how movies are made. The system is unfair. Commensurably, in the previous century it was the most-developed countries that mastered the reading of written works. In the century we live in now, the richest countries control every aspect of sound and image communication. The smaller countries are condemned to disappear in the digital flow. If there are no movies, festivals obviously can't show them. It's that the distributors don't want them. The producers don't want them. The television stations don't want them. Guillén: Are you familiar with the instrumental work of the Global Film Initiative which provides financing for script development and post-production costs for filmmakers struggling to make films in such developing countries as Africa, Southeast Asia, Latin America? They are advocates for narratives from the Global South. Panh: I'm working on a project that has nothing to do with my film that I would like to talk to you about? Guillén: Feel free. I'm listening. Panh: In Cambodia we created Bophana, an audio-visual resource center. We're trying to gather all kinds of images and sounds from all over the world and to make these resources accessible to all Cambodians. We're also providing professional training for young directors and film technicians. What we're realizing are certain problems: that you can't make a film if you don't have an audio-visual memory. We're trying to make audio-visual memories available to Cambodians. The Center is doing quite well. We're going to work with Burkina Faso. We're going to give our technology and know-how to Burkina Faso. It's one of the first South-South collaborations. We're trying to share what we know in terms of image-making. After that we would like to do the same thing with Senegal, with Lebanon, or Rwanda. We're trying to create a network. What we want to claim is the right to access to images. We have the right to have access to memory. We're not asking for commercial rights—the rightholders can keep them—but, just the right to have access. In Cambodia we don't have the means of accessing our own images. For an African, it's easier to watch films from Brazilian television on Teleglobo than African films. If a people do not have the means of fabricating the sounds and images of their own history, they are doomed to disappear. Guillén: I commend your Center's objectives and will do all I can to coordinate efforts to further your goals. Returning to your film, if we may, you strike an accomplished balance with—as you said earlier—the hazard of the film's political import being guised by its idyllic veneer. Pierre Millon's cinematography and Yan Arlaud's art direction is so sumptuous, so beautiful, that it's enthralling. 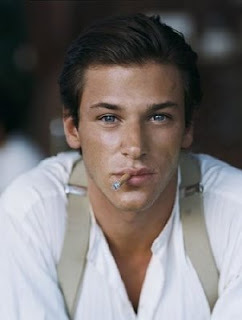 In fact, even with your ensemble, I wasn't sure who was more beautiful: Isabelle Huppert or Gaspard Ulliel! Guillén: I'm not criticizing it, but I do wonder about the value of such physical beauty to express political intent? I mean everyone in the movie is beautiful or handsome. Huppert, Ulliel, the seductive Astrid Berges-Frisbey, the charismatic Randal Douc. Does a film lose believability if its ensemble is too goodlooking? Panh: I don't know if they're physically beautiful as much as they're beautiful for conveying something that's sincere. I think they are conveying something very deep and are in a state of grace. Physical beauty doesn't last. It doesn't remain. It's the performances that remain in your mind and that you continue to see. Guillén: Fair enough. Certainly this is what I adore about Isabelle Huppert, who is pitch perfect in this role. The word I always use to describe her is "incandescent." She's a true "star" in the sense of possessing a distinct luminosity that radiates on-screen. Can you speak to your collaborative dynamic with her? What was it like to work with her? Panh: First of all, Isabelle Huppert did not look anything like the mother who tended these fields. I wasn't interested in doing a historical re-creation of the novel. But I needed someone who could take the character further. Isabelle Huppert brings so much intelligence to a role and she also performs in a state of grace. It was those elements of intelligence and grace that I knew were very important to the story. We talked about the character. I didn't tell her to sit here, stand there, but through our conversations Isabelle knew her character very well. Guillén: She lifts one eyebrow and you feel seventy-five conflicting emotions. She does so little and yet it registers so much. I loved the scene where she's wandering among the pregnant rice and pressing it against her skin. That was so beautiful and redolent. Did you direct her to perform this gesture or did it just come from within her character? Panh: I cannot say that I directed her to do that. My role is to bring an actress to the place where she will do that on her own. I don't need to ask her to do it. I just create the space for her within which she can find her performance. That's why when I make a film I prefer to explore the location beforehand. I explore the set. In fact, in all my films the sets are not really sets. If I need a house, I build the house six months before, I landscape it myself, I watch the plants grow, and in this way I create a real ambiance, an atmosphere, in which my actors are not just contained by four walls. Guillén: At film's end there's a postscript acknowledging that the film has been shot in the "Rice Fields of the White Woman." This lends Un Barrage contre le Pacifique an almost documentary feel. I know that Marguerite Duras' novel was actually based on her own childhood experiences, living with her mother, Madame Donnadieu, who did indeed administer a rice plantation that suffered floods from the sea. Are you saying you actually filmed on her plantation? Panh: Yes. As with Marguerite Duras' novel, there are parts that are real and others that are fiction. We actually shot the film on the actual plots of land that the mother had purchased. That's where we made the film. I really wanted to go to the actual historical place and from there on go with the fiction, much the way Marguerite Duras writes in her novels. In fact, Madame Donnadieu's project was not such a utopia because nowadays in that actual field that she was trying to exploit, generations later the production in that rice field has doubled, tripled, over the rest of the neighboring fields. Guillén: Finally, could you elaborate on the film's comment that rice has a soul? Panh: I let the relationship between nature and human beings become the drama. It's an Asian mindset to say that rice has a soul. But if you look closely, everything has a soul. Trees have a soul. Rice has a soul. Cross-published on Twitch. Scott Rosenberg's detailed interview with Rithy Panh regarding the Audiovisual Center Bophana can be found at Monsters & Critics. Catching up on my reading. Lovely to read this. As you know, I've admired Panh's documentaries for years, but I've only been barely aware that he made narrative features- I hope I can get a chance to see this one. I hope you do too, Brian. I would love to read your own response. I can't believe this film won't have a strong festival presence, if not theatrical distribution, in the very near future. In many ways it's mainstream and it's certainly a crowd pleaser. Great interview, it's a shame that Panh's films don't get more exposure in Europe (outside of France, that is). The Vienna film festival has shown a few of his (semi)-documentaries but I think a little retrospective is due. Huppert will be in Vienna in a few weeks with her Schroeter project and I will make sure and try to ask her about this more recent work.